Most of Americans say, “What’s the big deal, I barely use the salt shaker.” Read on and you’ll learn why salt maybe causing your health problems. Americans’ love of salt has continued unabated in the 21st century, putting people at risk for high blood pressure, the leading cause of heart attacks and stroke, U.S. health officials said Thursday. In 2010, more than 90 percent of U.S. teenagers and adults consumed more than the recommended levels of salt — about the same number as in 2003, the U.S. Centers for Disease Control and Prevention reported. “Salt intake in the U.S. has changed very little in the last decade,” said CDC medical officer and report co-author Dr. Niu Tian. And despite a slight drop in salt consumption among kids younger than 13, the researchers found 80 percent to 90 percent of kids still consume more than the amount recommended by the Institute of Medicine. “There are many organizations that are focused on reducing dietary salt intake,” said Dr. Gregg Fonarow, a spokesman for the American Heart Association and a professor of cardiology at the University of California, Los Angeles. “More effective efforts are needed if the prevalence of excess dietary salt intake is to be reduced,” Fonarow said. The CDC has suggested coupling salt-reduction efforts with the war on obesity as a way to fight both problems at the same time. New school food guidelines might also be warranted, the report suggested. Samantha Heller, a senior clinical nutritionist at the NYU Langone Medical Center in New York City, said reducing dietary salt is essential for both adults and children. “What is so distressing is that this report indicates that eight out of 10 kids aged 1 to 3 years old, and nine out of 10 over 4 years old, are eating too much salt and are at risk for high blood pressure,” she said. Remember that these are the ones who don’t normally see a doctor for high blood pressure so it can get out-of-control before you know about it. Most of this salt comes from processed foods and restaurant meals, not the salt shaker on the table, Heller said. And in the case of school kids, it could be coming from the cafeteria. That means it’s likely that much of the food these children eat is fast food, junk food and processed food, she said. “This translates into a high-salt, high-fat and high-sugar diet that can lead to a number of serious health problems down the road,” she said. In addition, both fast and processed food alters taste expectations, leading to constant parental complaints that their kids won’t eat anything but chicken nuggets and hot dogs, Heller said. It’s the parents and caregivers who are in charge of the menus, Heller said. “This begs the question: Why are you giving a 2-year-old these foods?” she said. Salt hides in many foods, Heller said. “Salt is used for texture, flavor enhancement and as a preservative, and does not necessarily taste salty,” she said. Some health advocates believe the solution to the salt problem lies in getting food companies and restaurants to reduce salt in their foods. In 2010, the U.S. Food and Drug Administration began working with the food industry to voluntarily reduce salt in processed foods. But two years later, little has been accomplished, according to the Center for Science in the Public Interest. “Unfortunately, the food industry has failed to significantly bring down sodium levels despite 40 years of governmental admonitions,” Julie Greenstein, the center’s deputy director of health promotion policy, said in a statement. “It’s time for the FDA to step in and require reasonable reductions.” The problem is that there’s scant evidence for determining exactly how much salt is too much and how little is too little, according to a recent Institute of Medicine report. “[For now], the simple answer is to cook more at home and eat more whole and less processed foods,” Heller said. Checking food labels for sodium content is also vital, experts say. For the report, the CDC relied on data from a national survey involving almost 35,000 people, conducted between 2003 and 2010. The survey found that most Americans still consume an average of 3,400 milligrams — about 1.5 teaspoons — of salt a day, according to the IOM. The U.S. Dietary Guidelines for Americans recommend people 14 to 50 years old limit their daily salt intake to 2,300 mg. But that’s still too much for about half of Americans, according to the guidelines. People over 50, and people with high blood pressure, diabetes or chronic kidney disease should restrict salt intake to 1,500 mg a day. To sum up, I believe processed foods can be the cause of obesity in America. Fast Food is processed food and to go one step further, chain restaurants are preparing their entries in a central location and then distributing them to their locations frozen. Prepared foods in the grocery store are done the same way. 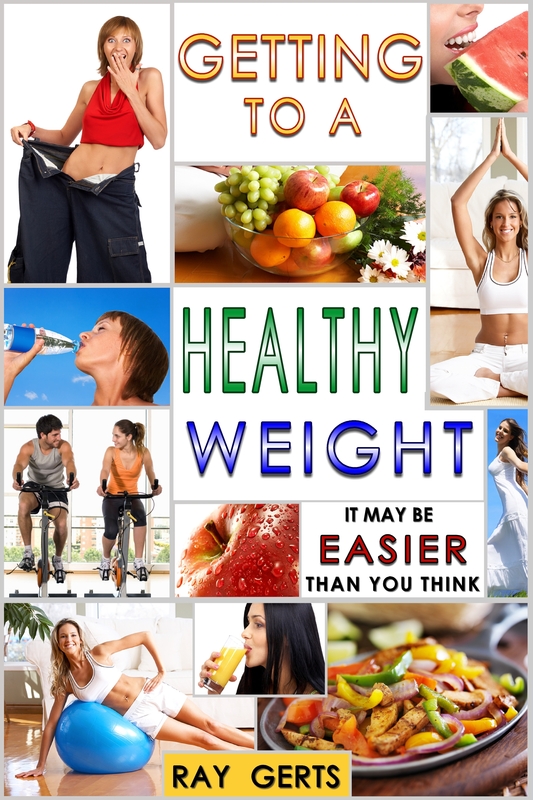 When most of us decide to lose weight it’s because we want to be healthier. Lower our blood pressure, lower our cholesterol, and avoid diabetes. Young people don’t see the doctor as often as the over 50 crowd, but if you have a weight problem you should see a doctor or maybe a weight clinic. I’d avoid anyone selling pills or diet food. If your going to spend money see your doctor first. Aside | This entry was posted in Uncategorized and tagged diet, weight loss. Bookmark the permalink.